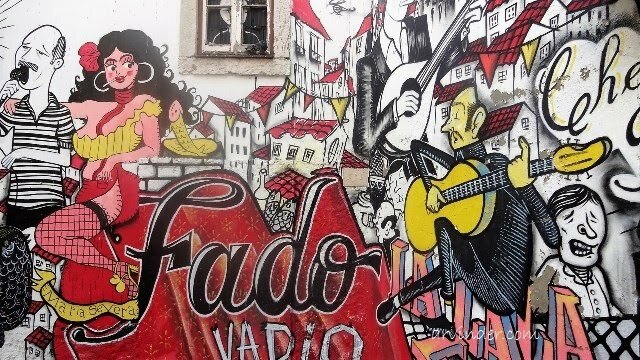 Stay: Stayed in near the Rossio Train Station‎ at GoodMorning Lisbon Hostel, great location in the center of the city. 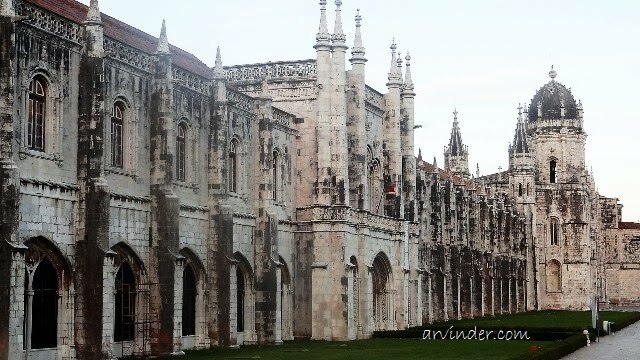 Walking distance from a lot of sightseeing places. 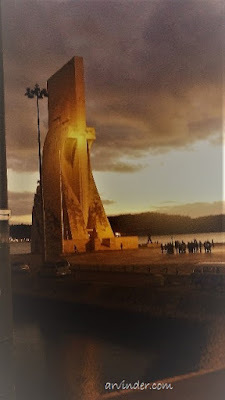 Day 1: Arrived in the evening and walked the city, too tired and jet-lagged. 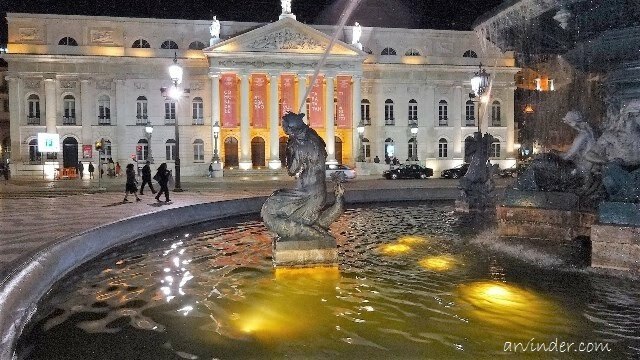 The free walking tour started at Luís de Camões Square and ended at Commerce Square Lisbon, about 3 hours. 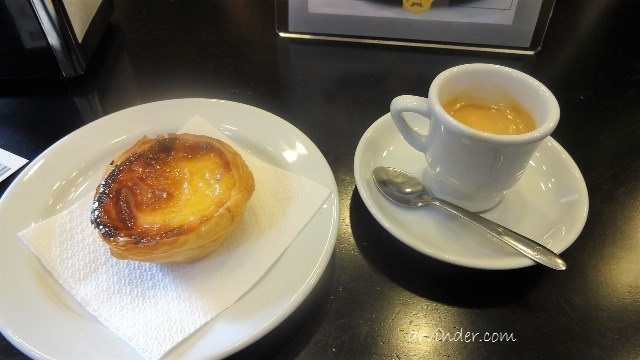 A must do in Lisbon. 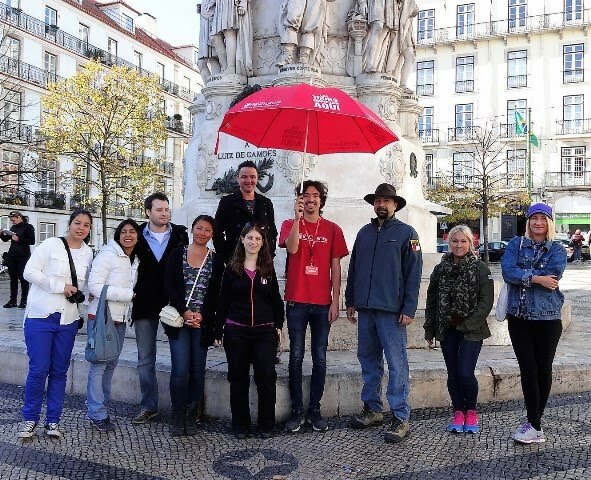 Our Walking Tour Group, the Tour Guide with the Red Umbrella. 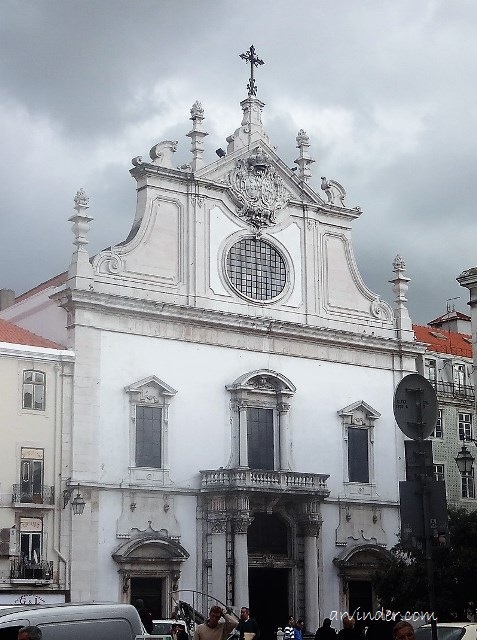 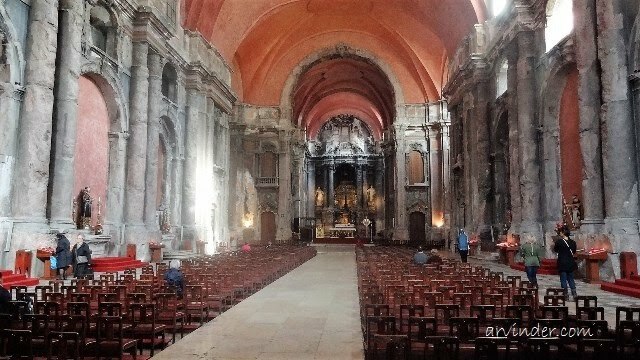 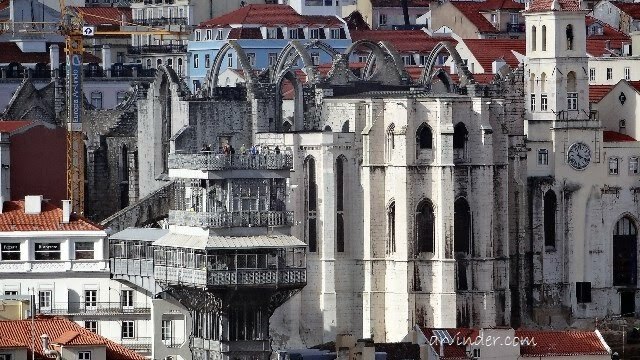 Above 2 Picture - Carmo Convent Lisbon, Its a Gothic style church, it was damaged in 1755 Lisbon earthquake. 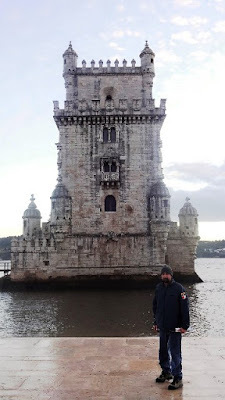 After an incredible 3 hours of walking, I took the hop on hop off bus and went to see Belem. Above Belem Tower and Cross and Sword Monument Near the Belem Tower.